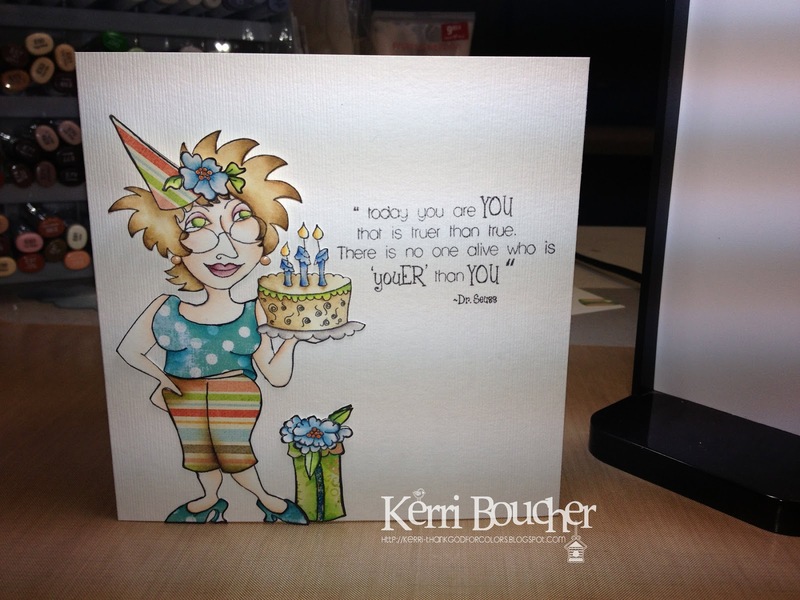 Thank God For Colors: Very Excited..
Hi Kerri, fab card as always. Good luck with the DT call, I will keep everything crossed! Would love to see pics of your craft room when it's done, sounds great. Fabulous card sweetie cant wait to see your craft room. Love the sound of the red, thats what colours I'm hgaving in my craft room when it gets redecorated, deep red.....lush.